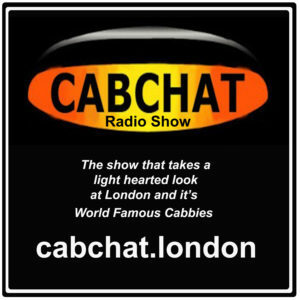 United Cabbies Group – Formal Response to TfL Regarding ULEZ consultation. The Mayor of London has imposed an unlawful and improper London Taxi Age limit which actually means that harmful pollution is INCREASED and is therefore not for proper purpose. He has now proposed to reduce the London Taxi Age Limit from 15 years to 10 years. This is despite the Mayor’s own statement in a written report to the Environmental Audit Committee in 2010 that a new Euro 5 vehicle would create 5 times as much NO2 as a 15 year old vehicle. It also contradicts solid technical and scientific evidence published by Defra in May 2013 following the testing of 10,000 taxis in London by the Environmental Research Group at Kings College London and proved that the new taxis are creating MORE pollution than those that are being scrapped. The Mayor has needlessly scrapped 6000 London Taxis at great expense to taxi drivers and operators which has now created a significantly increased cost of taxi rental and purchase as a direct result of a monopoly situation. There is no new taxi available to buy which is proven to be less polluting than existing taxis. The London Taxi Age Limit is therefore not only improper in purpose it clearly breaches competition laws and creates a monopoly market and raises serious questions about the impartiality of the Mayor of London, Transport for London and the London Taxi Drivers Association who have argued supporting the 15 year taxi age limit (against its own members interest) and have argued against the removal of the requirement of the turning circle (against its own members interest), which is a serious restriction on the type of vehicle which can be manufactured and approved as taxis. 1/ An immediate suspension of the London Taxi Age Limit as it breaches competition laws and creates a monopoly situation and because it is for improper purpose as there is no new taxi available which has improved emissions. It also does not comply with the requirements of Public Law as it is not evidence based , rational, reasonable, fair or for proper purpose. 3/ A full independent investigation into the Mayor of London and TFL who have implemented an improper and unlawful 15 year London Taxi Age Limit and who now propose to reduce this to 10 years even though there is only one manufacturer of taxis available which creates a monopoly. The Mayor of London and TFL also continue to impose improper requirements for conditions of fitness of taxis , which deliberately creates and perpetuates a monopoly situation. 4/ We have concerns about the impartiality of some members of the United Trade Group and what connections they have with taxi manufacturers. There seems to be an improper process for the election of board members who have not changed for many years. There are also concerns about the impartiality and conflict of interest of the LTDA Chairman , Bob Oddy who is also paid £30k a year Transport for London as a board member for them. There are concerns that he cannot properly represent his members whilst being paid by the organisation that he is supposed to challenge on behalf of his members. 1. The concept of a Taxi Age Limit to reduce pollution is improper. 3. Camden Council among others commissioned emissions testing of vehicles in London, The result of that testing by the Environmental Research Group confirmed that the new taxis were creating MORE pollution than the 15 year old taxis. It seems that Camden Council are ignoring the evidence of the testing that they themselves commissioned. 4. The London Taxi Age limit has therefore INCREASED pollution by scrapping older less polluting 15 year old vehicles. 6. 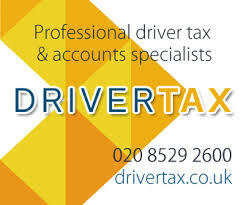 It is therefore not reasonable, rationale or evidence based to impose any taxi Age limit of any sort . The suggestion that a 10 year taxi age limit will somehow reduce pollution is clearly not based on evidence, as has been proven. 8. There are no new vehicles available as taxis as of today which would offer a commercially and technically viable solution to reduce pollution. 9. The proposal for a 10 year London Taxi Age Limit is a distraction from the proper and effective emissions strategies in relation to taxis that should be implemented immediately. 10. A regulation for Clean Diesel (as used in Sweden) could be implemented overnight. It would reduce PM by 30% and NO2 by 10% and would do so in every diesel vehicle in London immediately. There would be no cost because the fuel economy would increase. The scale of emissions reduction would be massive because the emissions of every single vehicle would be reduced immediately, compared with changing of vehicles which cannot take place quickly and only has a small incremental effect. There is no reason why this should not be implemented. 12. Another measure could include a diesel engine clean up system (previously proposed to TFL and ignored) and improved traffic management. The Mayor of London acknowledged in a written report to the Environmental Audit Committee in 2011 that the new Euro Emissions standards were not delivering reductions in pollution. He said ‘ A Euro 5 car, for example, emits around five times as much direct NO2 as a fifteen year old car. He then completely contradicted his own evidence and needlessly scrapped 15 year old taxis falsely claiming that it would reduce pollution, knowing full well that it would not. It is a requirement of Public Law that the Mayor’s decisions are evidence based and for proper purpose. The London Taxi Age limit is neither ; it is not evidence based as he conducted no testing whatsoever and if he had it would have shown than the new taxis create MORE pollution. It is therefore also not for proper purpose; the Taxi Age Limit was supposed to reduce pollution and his policy has actually INCREASED pollution. The Mayor was asked on many occasions by London Assembly Members to at least conduct basic testing to prove that scrapping taxis would reduce emissions. He point blank refused to conduct any testing whatsoever.. 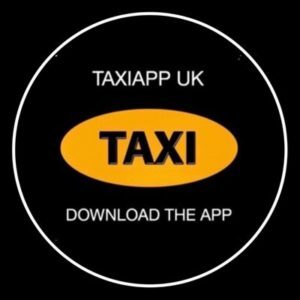 In May 2013 Defra released a report after the Environmental Research Group tested 10,000 taxis which confirmed that the new taxis were creating more pollution than those that had been scrapped. Emissions reduction of PM could have been achieved by retrofitting Diesel Particulate Filters. The Mayor has written to the Environmental Audit Committee boasting that he has reduced pollution in London by scraping 3000 of the most polluting taxis, even though the technical and scientific evidence proves that he has not reduced pollution at all and in fact the new Euro 5 taxis create MORE harmful NO2 than the 15 year old taxis. 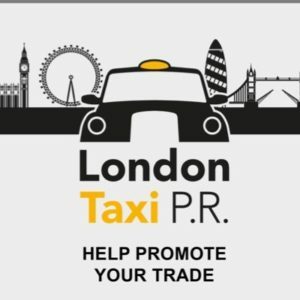 Taxi Drivers are probably the group of workers most affected by air pollution in London ; (how many drivers do you know with one of the above diseases?) and yet the Mayor sees fit to implement improper policies which will not reduce pollution but which deliberately cause financial loss to taxi drivers. It seems like it is part of his master plan to destroy the London Taxi Trade. The Cross Party Environmental Audit Committee are currently conducting an Inquiry as to why there has been no improvement in air quality. They summoned the Mayor of London to appear before the committee and he reluctantly agreed to appear on Wednesday September 10th at 2 pm. Also the DFT advice to NOT impose an Age Limit on the basis of emissions as older taxis are no worse or better than newer taxis. frequently than the full vehicle test. vehicles first used after 31 March 1987 includes checking of all seat belts. to set criteria for the internal condition of the vehicle, though these should not be unreasonably onerous. It can be seen above that DEFRA (Department of Environment, Food and Rural Affairs) state that setting an age limit beyond which a licensing authority will not license vehicles may be (In the UCG opinion is) arbitrary and inappropriate. Certainly the manner in which this is being implemented is unlawful and improper. I also include a link here to a transcript from a BBC Radio 4 podcast from their “File on 4” investigative journalism team. Within this link is a full transcript that discusses the fundamental error in the assumption that later Euro standard diesel engines are less polluting, this investigatigation uncovers the hidden truth that older vehicles (and for my purposes particularly Taxis) are in fact much less (as much as 5 times less) polluting than the newer Euro standards Vehicles Mayor Boris is forcing upon the Taxi trade, resulting in cleaner Taxis being scrapped at great expense to Taxi drivers and in the process making matters worse for Londoners lungs. I have previously submitted this to TFL/TPH but they have never investigated this scientific research undertaken by two leading British Universities. Below I include some additional comments regarding the Mayor’s statement that all new Taxis entering service from 2018 must be zero emission capable. You “TfL” cannot and will not keep our charging points clear of illegally parked vehicles and PHV (this is demonstrated by a complete disregard by Enforcement of the existing Taxi Ranks) Has it occured that there are peak times and slack times…. All working Taxis will seek to charge their vehicles at the same time, “Slack time” which is the same time for every Taxi, you can’t “Take it in turns” when you need to work busy periods and charge-up the batteries in slack periods.